You are here: Home / Beauty / Garnier Fructis Damage Eraser: Are You a Damage Criminal? Rejuvenate Your Hair with Garnier’s New Hair Care Line! Garnier Fructis Damage Eraser: Are You a Damage Criminal? Rejuvenate Your Hair with Garnier’s New Hair Care Line! You little damage criminal, you. You know you are guilty of it, over processing and over heating your hair. And worse yet, if you’re like me, you do it ALL THE TIME. There is no way that I can wear my hair down without blow drying and using my flat-iron. I’d be a frizzy mess! So, I’m not willing to part with my hair dryer and flat-iron. With Garnier’s NEW hair care line, you won’t have to worry about your hair crimes anymore. Fructis Damage Eraser can reconstruct your hair’s strength from root to tip by 90%. That way, you don’t have to give up your styling tools and you shouldn’t have to! That, my friends, is all kinds of awesome. Included in this NEW hair care product line are the Fructis Damage Eraser Shampoo and Conditioner and the Strength Reconstructing Butter. I had the chance to try all 3 of these brand new products and let me tell you, my hair says I am forgiven. Trying the Garnier Fructis Damage Eraser twice, I already see a significant change to my hair. It’s no mystery that I am not getting any younger and one of the differences that I notice when it comes to age is my hair. It’s more dry and it breaks much more easily. Not to mention, I get split ends much faster these days. My hair is very long and thick so I was only able to use the samples twice. But, I already see a difference after my second round. I can only imagine how it will help repair my hair when I get the full size bottles. Formulated for distressed, damaged hair, Damage Eraser conditioner reconstructs & preserves hair’s strength by 90% from root to tip. The formula contains Phyto-Keratin® Complex with plant-based proteins and fruit concentrate & Cupuaçu Butter, with natural lipids. Hair is stronger and looks rejuvenated. Formulated for distressed, damaged hair, this rich, indulgent butter is designed to intensely reconstruct hair’s strength for strong, rejuvenated and shiny-looking hair. The formula contains Phyto-Keratin® Complex with plant-based proteins and fruit concentrate & Cupuaçu Butter, with natural lipids. Use weekly after shampooing. There’s nothing more refreshing than having hair care products that are not only practical and effective, but smell AMAZING. 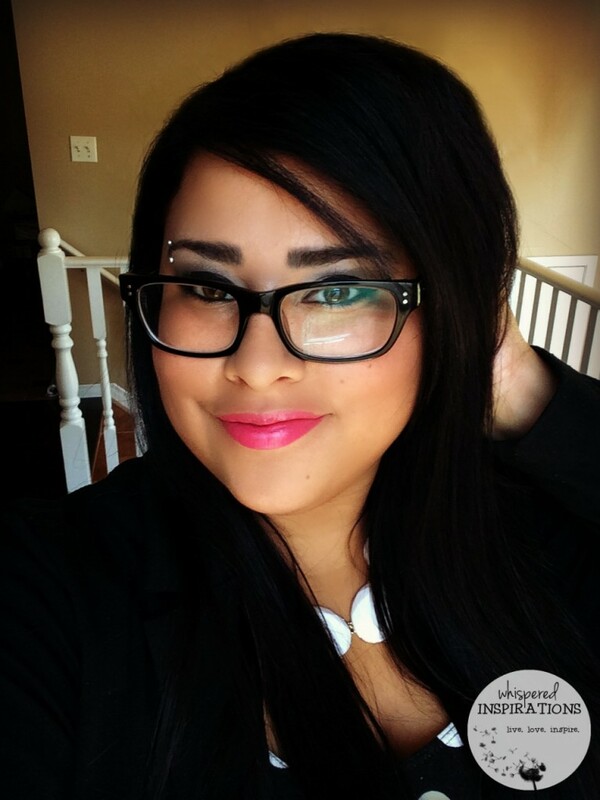 I used the latest in hair care innovation from Garnier Fructis, shampoo and conditioner. Then I let the Garnier Fructis Damage Eraser Strength Reconstructing Butter sit in my hair for 3-5 minutes. When I rinsed it out, my hair literally felt like silk. I know that I am using salon-quality products when my hair feels that way. I also love how the smell of the products stays in your hair after it dries. I love the smell of clean! Now, you are ready to face the world and you don’t have to worry about having dry and damaged hair. If you haven’t tried the NEW Fructis Damage Eraser hair care line, well, you absolutely must! 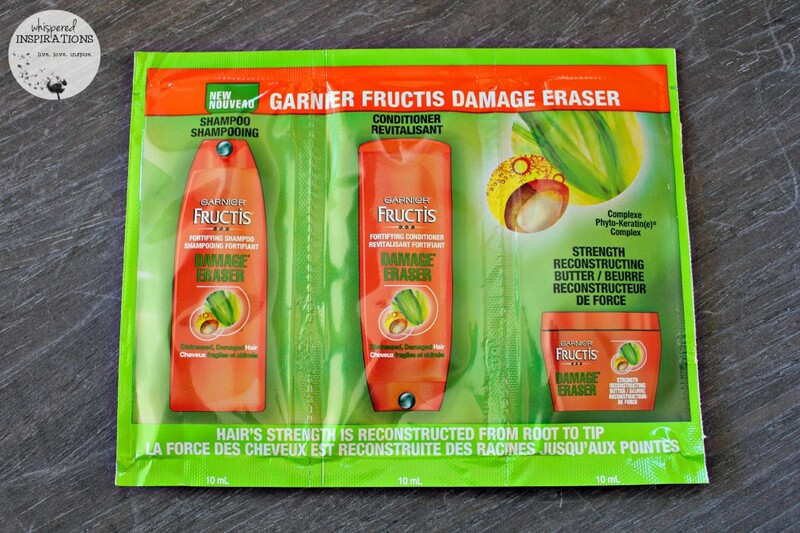 Head on over to the Garnier website and discover their NEW Fructis Damage Eraser product line and try out some of their limited time trial offers. That way, you can cover up (and repair) your hair crimes–no one has to know! Do you have dry and damaged hair and need a FIX? Note: This post was brought to you by Garnier L’Oreal Canada via SheBlogs. The opinions expressed herein are those of the author and are not indicative of the opinions or positions of Garnier L’Oreal Canada. I get salon keratin treatments, so I can't use this, but I always used fructis products before I got the keratin. My 18 year old just told me I had to buy this for her hair, it is so thin that it dries out quickly. She is loving it. I love Garnier! I'll have to check this out; your hair looks gorgeous! Anything that will make my hair that silky is worth a try! Awww, thank-you and I blow dried and straightened too! After 2 uses? really? ok, I really need to try these!! Yes, my hair feels much softer and smells great after two uses. I can\’t wait to use it more regularly, then I will be able to see better results! I am so going to try the damage eraser. My hair has been feeling so dried out from coloring. Mine gets that way from heat, this will help with overprocessing! Love the Fructis products. My hair always feels so good after I use them. This is probably the best smelling hair stuff ever! I need to pick some up soon. I am going to have to try this, my hair gets frizzy sometimes, this sounds like a great solution! My hair needs help! Going to have to give this a try. I need to try these products out! I use a hair dryer and flat iron quite a bit during the week and would love to erase the damage! It helps and you do not have to give them up! My hair is really damaged so I am always looking for something to pep it back up. Same here, I cannot wait to see what prolonged use will do! That makes me so happy! Glad its working for you Kathy!